Amanush (English: Inhuman) is a 1975 Indian action drama film made in both Hindi and Bengali produced and directed by Shakti Samanta. 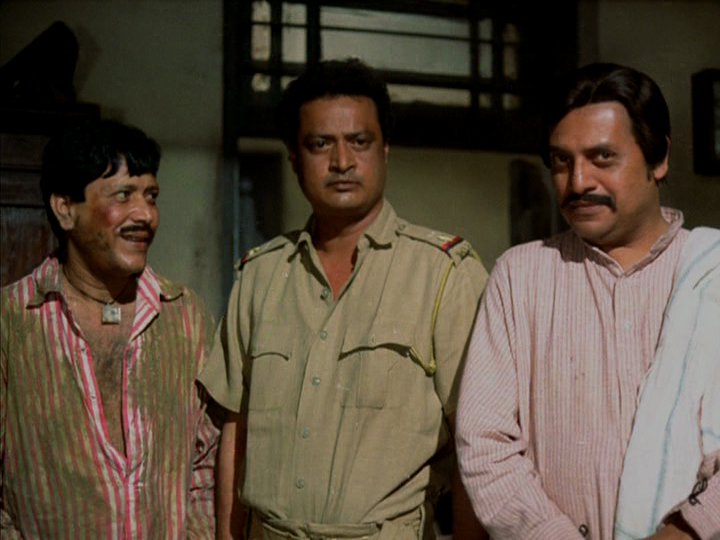 The film stars Sharmila Tagore, Uttam Kumar, Utpal Dutt and Asit Sen. The Bengali version of the film achieved immense popularity amongst Bengalis and featured many memorable songs by Kishore Kumar like Bipinbabur karansudha and Ki asha-y baandhi khelaghar. 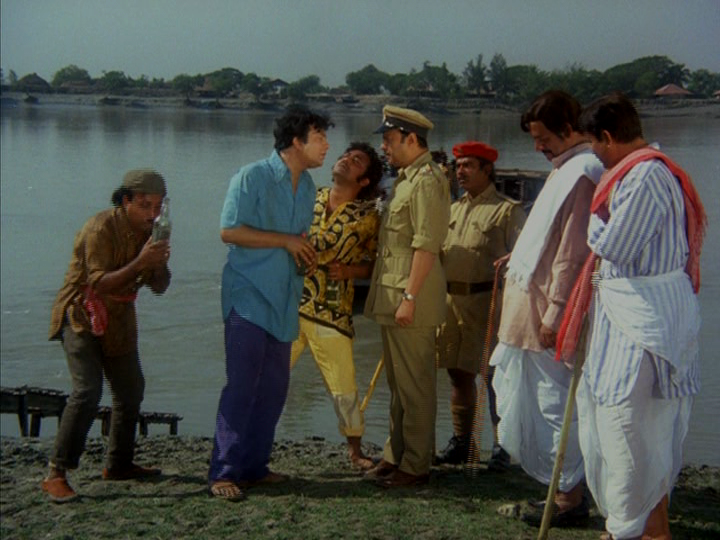 Also, this film featured the Bengali film star Uttam Kumar at the height of his popularity and Utpal Dutt turned in a typically stellar performance as the villain. 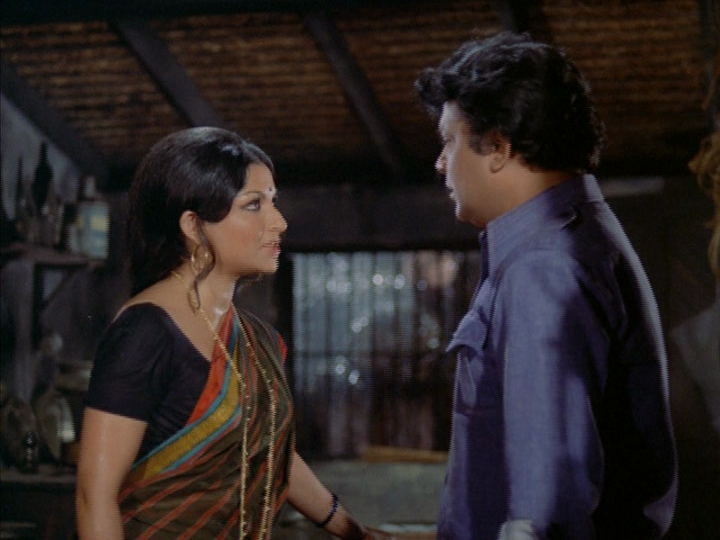 The film was later remade in Telugu as "Edureeta" (1977) starring N.T.Rama Rao, Vanisri, and Jayasudha, in Malayalam as Ithaa Oru Manushyan and in Tamil as Thyagam with Sivaji Ganesan. 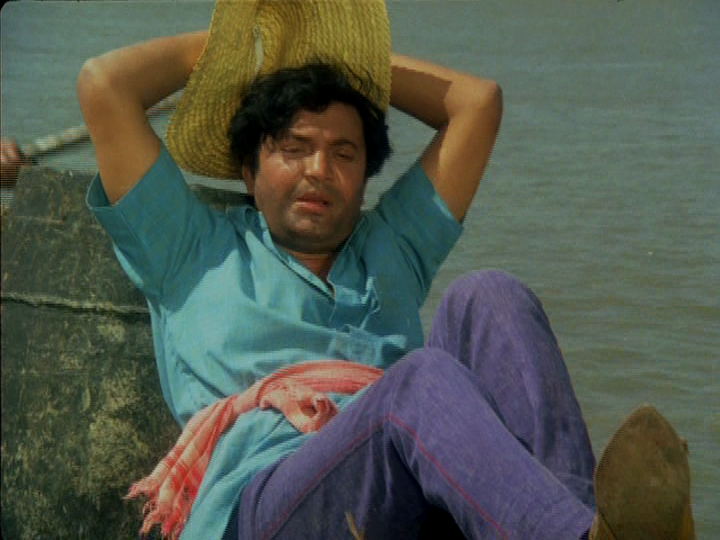 After Amanush, Samanta once again made another double version, Anand Ashram (1977) with the same lead actors, however that film didn't do well at the box office. Thanks for the series of screenshots! These new re-masters by Reliance are pretty decent. They're definitely worth buying if you've missed out on the OOP EVP editions. I've noticed that Black and white movies like China Town and Howrah Bridge are also available on Reliance. Do you have those titles? I'm interested in them. So if you could post screenshots if you had them. Thanks!